Ryne says one side effect of being an opener is hanging out in the dugout more with position players during the game…"I'm more of a social butterfly now"...The New York Times called Ryne an "athlete who changed his sport" in 2018 for his work as an opener, alongside Patrick Mahomes and others...On April 20, fans attending the game will receive a Ryne Stanek Bottle Opener, presented by Republic Bank…the giveaway features audio recorded by MLB Network analyst Brian Kenny...He participated in a handful of charity golf events this offseason…he also traveled to Las Vegas to play in Major League Baseball's Fortnite tournament, hosted by Blake Snell…he advanced to the second round of the five-round tournament...He was teammates with Jalen Beeks at the University of Arkansas…they lived next to each other in the same apartment building...Ryne has a German shepherd named Bosley...Ryne visits his grandparents around the holidays every year and helps with their farm…they grow corn and soybeans, as well as raise cattle...He was named after Hall of Fame second baseman Ryne Sandberg despite being born into a family of Cardinals fans…he became just the third "Ryne" in major league history, following Sandberg and All-Star pitcher Ryne Duren…his manager in Triple-A Durham was Sandberg's nephew, Jared Sandberg. Made 30 relief apps and 29 starts as an opener, a combination unmatched in major league history…became the first pitcher with 25 starts and 25 relief apps in a season since PHI Hugh Mulcahy (26 starts, 30 relief apps) in 1937 and the first AL pitcher since PHA Eddie Rommel (31 starts, 25 relief apps) in 1923…was the first rookie in major league history with 25 starts and 25 relief apps in a single season...His 29 starts were 2nd on the team behind Blake Snell (31)…all 29 starts came from May 26 through the end of the season, five more than any other pitcher in the majors over that span...His 59 apps tied for 4th among AL rookies and were the most by a Rays rookie since Steve Geltz (70) in 2015…his 29 starts tied SF Andrew Suarez for the most among major league rookies and were the most by a Rays rookie since Jake Odorizzi (31) in 2014...Min. 50 IP, ranked 2nd among AL rookies with a .191 opp avg. behind teammate Diego Castillo (.178) and ranked 3rd with a 10.99 SO/9 IP ratio...His avg. fastball velocity was 97.9 mph, according to StatCast, and his max velocity was 100.5 mph in his start on May 26 vs. BAL...Crafted a 1.86 ERA (38.2-IP, 8-ER) in 32 apps (14 starts) through July 25…after that, recorded a 4.55 ERA (27.2-IP, 14-ER) in 27 apps (15 starts)...From June 7-July 10, made nine consecutive scoreless starts to set a major league record- though he totaled only 13.2 IP over this span- passed LAD Zack Greinke (6, 43.2 IP), LAD Orel Hershiser (6, 55 IP) and LAD Don Drysdale (6, 54 IP)...Made 8 starts without allowing a hit, the most for any pitcher in a season since Baseball Reference data is available (1908)...Was winless in all 29 starts, the longest streak in the majors since Baseball Reference data is available (1908)…went 2 IP or fewer in all of these starts and never qualified for a win…his 29 starts of 2 IP or fewer and 14 starts of 1 IP or fewer were both the most for a pitcher within a single season...Five times he started on 0 days' rest, the first pitcher to do so that often in one season since STL/DET Grover Lowdermilk (5) and DET Harry Coveleski (5) in 1915…from Sep 3-4 at TOR, became the first rookie to start back-toback days since STL George Munger from July 28-29, 1943 vs. PHI, according to the Elias Sports Bureau…Munger went 0.1 IP in the first of those games and threw a complete game the next day…was the second pitcher in club history to start consecutive days, joining Sergio Romo on May 19-20 at LAA...Made two stints with the Rays (May 5-12 and May 19 through the end of the season)...On May 26 vs. BAL, made his first career start in the majors, and first start at any level since June 4, 2016 (with Double-A Montgomery)…retired all 5 BF, including strikeouts of Adam Jones, Manny Machado and Jonathan Schoop...On May 28 at OAK, pitched around a 2-out double and intentional walk in the 12th inning and left with 1-on, 2-out in the 13th for his first career win, coming in his 29th career app...on May 31 at OAK, made the second start of his career and took his first career loss...Did not allow a run in 12 apps (7 starts) spanning 15.2 IP in June and became the first pitcher in the majors with at least 12 apps and 7 starts within a calendar month since PHI Karl Drews (12 apps, 7 starts) in June 1953, and the first AL pitcher to do this since Jim Walkup (14 apps, 7 starts) of the St. Louis Browns in August 1935…was the first pitcher to ever make 12 apps and 7 starts within a single calendar month and not allow a run...On Aug 3 vs. CWS, struck out all 5 BF in his 17th start, becoming the first starter since Baseball Reference data is available (1908) to go longer than 1 IP and strike out every batter faced… previous long was 1 IP by Sergio Romo on May 19 at LAA and BOS Ernie Shore on Oct 6, 1915 at NYY (G1). Made 21 apps over three stints with the Rays, his first career major league action…was on the active roster from May 14-June 10, Aug 1-8 and Sep 1 through the end of the season... Recorded a 3.52 ERA (7.2-IP, 3-ER) through the first 10 apps of his career, but a 7.30 ERA (12.1- IP, 10-ER) over his final 11 apps of the season. Allowed 6 HR in 20 IP, including 5 HR in his first 11.2 IP…his first 7 runs allowed all scored via the home run (three solo, two 2-run)... 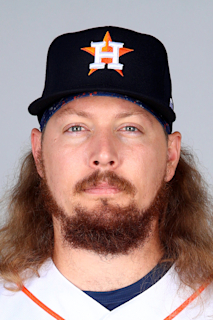 Averaged 98.1 mph on his fastball, according to StatCast…made 14 pitches of 100 mph or more, most by a Ray since Fernando Rodney (23) in 2013... Made his major league debut on May 14 at BOS… threw 9 pitches, all fastballs, averaging 99.3 mph according to StatCast, including a maximum velocity of 99.9 mph... On June 10 vs. OAK (G2), his 4 hits, 3 runs and 5 SO all remain career highs…became the first Rays reliever with 5 SO (or more) in an app of 2 IP or fewer since Steve Geltz on April 29, 2015 at NYY (1.2-IP, 5-SO)... On Sep 2 at CWS, allowed a solo homer to Avisaíl García on a 100.7 mph pitch, according to StatCast…it was the fastest pitch thrown by a Ray since data is available (2008) that was hit over the fence... Allowed at least 1 run in 7 consecutive apps spanning three stints, from June 8-Sep 8…it was the longest streak by a Rays reliever since Jason Hammel (7) in 2008... Was 3-0 with a 1.21 ERA (44.2-IP, 6-ER) and 60 SO in 37 apps with Durham…twenty of his last 21 apps spanning two stints there were scoreless, from June 20-Aug 30... Ranked by Baseball America as having the Best Fastball in the organization for a second consecutive year following the season. Split the season between Double-A Montgomery and Triple-A Durham…his last 23 apps of the season came out of the bullpen...Between the two levels, posted a 4.30 ERA (102.2-IP, 49-ER) in 34 apps (11 starts)…had a 3.83 ERA (42.1-IP, 18-ER) as a reliever...Had 113 SO in 102.2 IP, compared to 79 SO the season prior in 112.1 IP...Earned Minor League Pitcher of the Month honors for June…had a 1.25 ERA (21.2-IP, 3-ER) and 25 SO in 7 apps (1 start)...His last start came on June 4…promoted to Durham on July 4 following a 1.00 ERA (18-IP, 2-ER) in 7 relief apps-all of at least 2 IP-with Montgomery...Had a 2.70 ERA (13.1-IP, 4-ER) over his first 8 apps with Durham, but ended the season with a 9.82 ERA (11-IP, 12-ER) over his last 8 apps...Pitched for the U.S. team in the Futures Game in July at Petco Park...Listed by Baseball America as one of three Rays farmhands to touch 100 mph according to scouts, front office officials or PITCHf/x data, along with José Alvarado and Diego Castillo...Ranked by Baseball America as the No. 13 prospect in the Rays organization following the season…also tabbed by the publication as having the Best Fastball in the system. May 19, 2018 Tampa Bay Rays recalled RHP Ryne Stanek from Durham Bulls. May 13, 2018 Tampa Bay Rays optioned RHP Ryne Stanek to Durham Bulls. May 5, 2018 Tampa Bay Rays recalled Ryne Stanek from Durham Bulls. March 18, 2018 Tampa Bay Rays optioned RHP Ryne Stanek to Durham Bulls. September 1, 2017 Tampa Bay Rays recalled RHP Ryne Stanek from Durham Bulls. August 9, 2017 Tampa Bay Rays optioned RHP Ryne Stanek to Durham Bulls. August 1, 2017 Tampa Bay Rays recalled Ryne Stanek from Durham Bulls. June 11, 2017 Tampa Bay Rays optioned RHP Ryne Stanek to Durham Bulls. May 14, 2017 Tampa Bay Rays recalled Ryne Stanek from Durham Bulls. March 15, 2017 Tampa Bay Rays optioned RHP Ryne Stanek to Durham Bulls. November 18, 2016 Tampa Bay Rays selected the contract of Ryne Stanek from Durham Bulls. July 4, 2016 RHP Ryne Stanek assigned to Durham Bulls from Montgomery Biscuits. April 1, 2016 RHP Ryne Stanek assigned to Tampa Bay Rays. August 6, 2015 Montgomery Biscuits activated RHP Ryne Stanek from the 7-day disabled list. July 23, 2015 Montgomery Biscuits placed RHP Ryne Stanek on the 7-day disabled list. May 25, 2015 RHP Ryne Stanek assigned to Montgomery Biscuits from Charlotte Stone Crabs. August 31, 2014 Charlotte Stone Crabs activated RHP Ryne Stanek from the 7-day disabled list. August 26, 2014 Charlotte Stone Crabs sent RHP Ryne Stanek on a rehab assignment to GCL Rays. August 6, 2014 Charlotte Stone Crabs placed RHP Ryne Stanek on the 7-day disabled list. July 6, 2014 RHP Ryne Stanek assigned to Charlotte Stone Crabs from Bowling Green Hot Rods. May 8, 2014 RHP Ryne Stanek assigned to Bowling Green Hot Rods from GCL Rays. November 4, 2013 RHP Ryne Stanek assigned to GCL Rays. July 2, 2013 Tampa Bay Rays signed RHP Ryne Stanek.